Here's the first of a number of posts on our recent Southwest vacation. 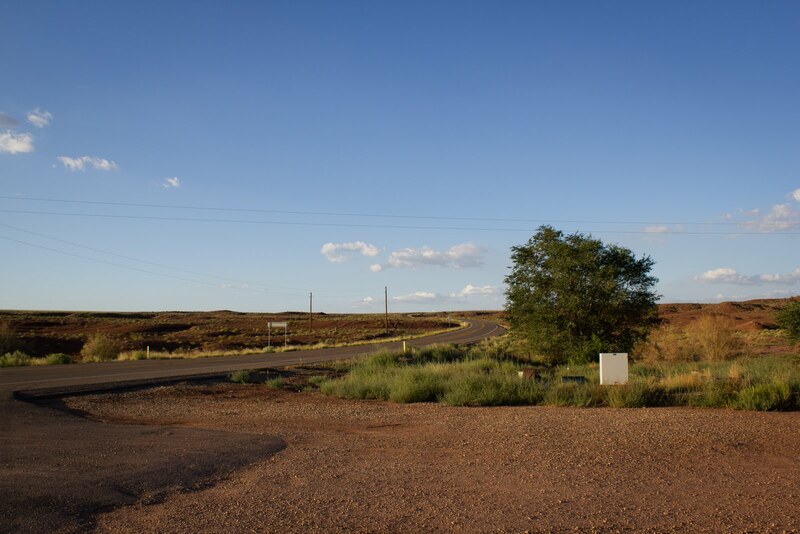 One of the locations we visited was the North Rim of the Grand Canyon. I had intended for us to stay two nights at the lodge there, but I failed to book a second night. Thankfully I discovered this before our trip, so I scrambled to find options for the second night thanks to the lodge being sold out. 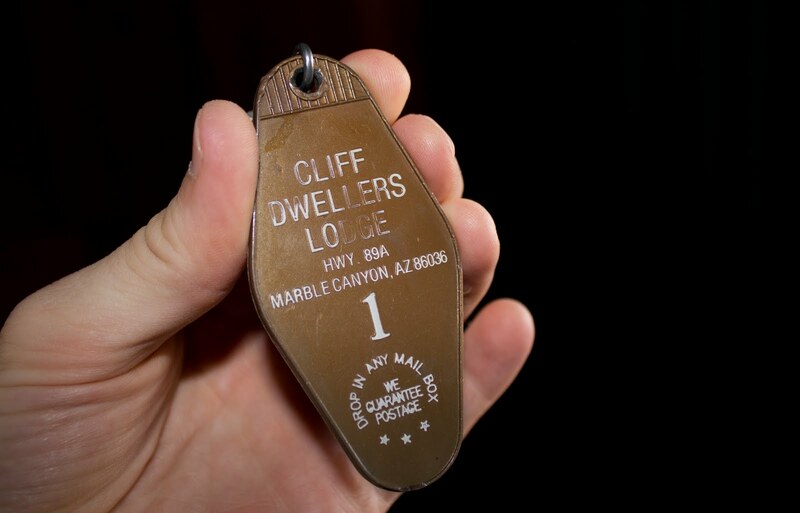 I did a Google Map search for motels somewhere between the North Rim and Kingman and came up with the Cliff Dwellers Lodge in Cliff Dwellers, AZ. Actually it's technically Marble Canyon per the US Postal Service, but the actual Marble Canyon is a good 15 minutes away. Cliff Dwellers Lodge is one of those one-story motor lodges you see on old US highways. Our room number was 1, and the walls were covered in wood-paneling. Our AC had the option of turning it on or off, that's it. The air that came out of it smelled moldy with a hint of ham. Thankfully though it actually cooled the room down. In fact it became so cold that my wife slept in jeans and a flannel shirt. The shower was a stand-up stall that didn't allow for you to bend over to pick up the soap. The water heater was conveniently in the bathroom just in case you get some sort of comfort from that sort of thing. It was exactly the kind of place I would normally not spend the night in (although Jessica claimed to love its quaintness and retro-factor). In some ways we probably should have feared for our lives, however thanks to Trip Advisor we knew a pretty decent number of people had stayed there and no one mentioned being ax murdered to death. 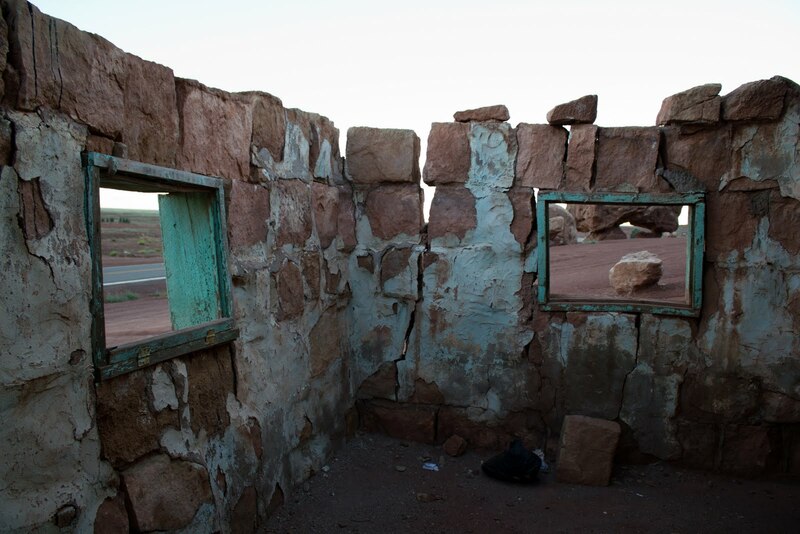 The Vermilion Cliffs frame the Lodge. The highlight was the restaurant. The food was delicious and there was a good crowd for dinner. I love hot food and the waiter brought me a cup of chopped habaneros with my fajitas. Awesome. 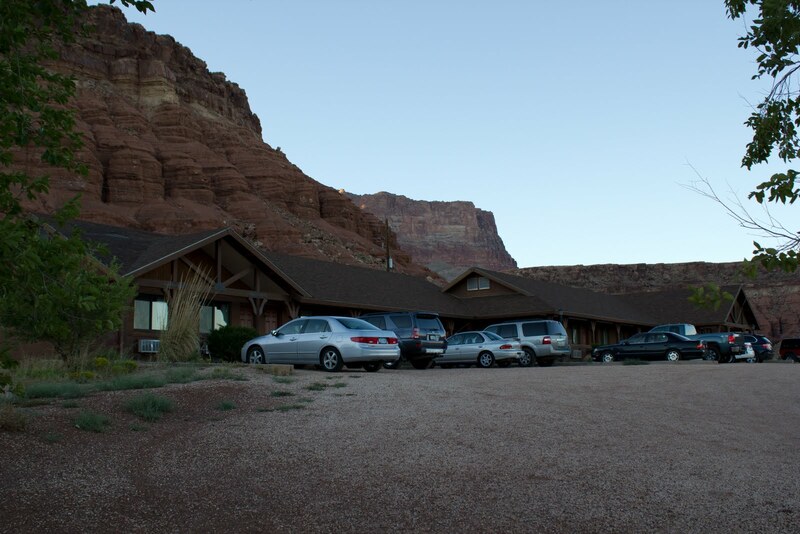 The Lodge is the starting point for a rafting company that runs the Grand Canyon starting in nearby Marble Canyon. So there were lots of conversations about rafting, waves and such. Roaming around the grounds was TJ, a 17 year-old dog who knows how to beg for his food. He was clearly hit by a car (if not a truck or both) at some point in his life as he had a noticeable limp. And that night the stars were out in full view. Remaining walls of a cliff dwelling. Also nearby were a series of ruins and homes built in to the rocks giving the area it's name. During the day you can find people selling Native American jewelry and other items. In a future post I'll talk about nearby Marble Canyon and Lee's Ferry. Both should be visited when you're in the area. 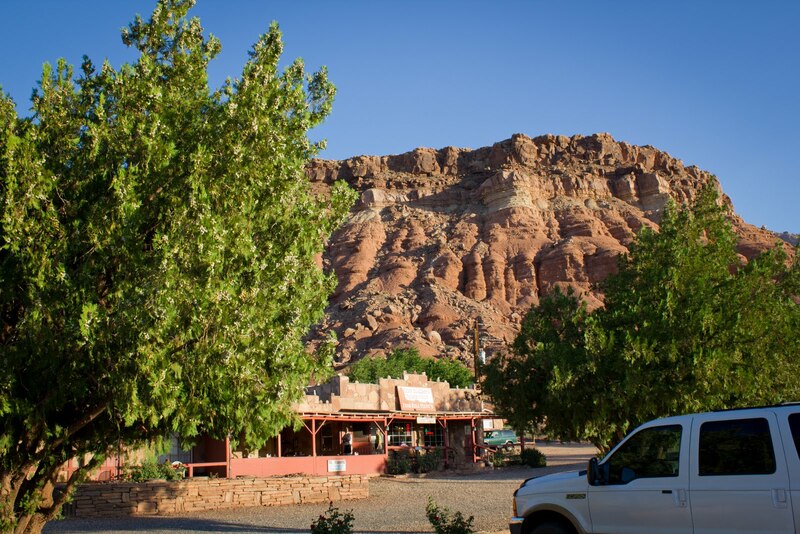 If you need a decent place to spend the night, and want a great place to eat, definitely check out Cliff Dweller's Lodge. 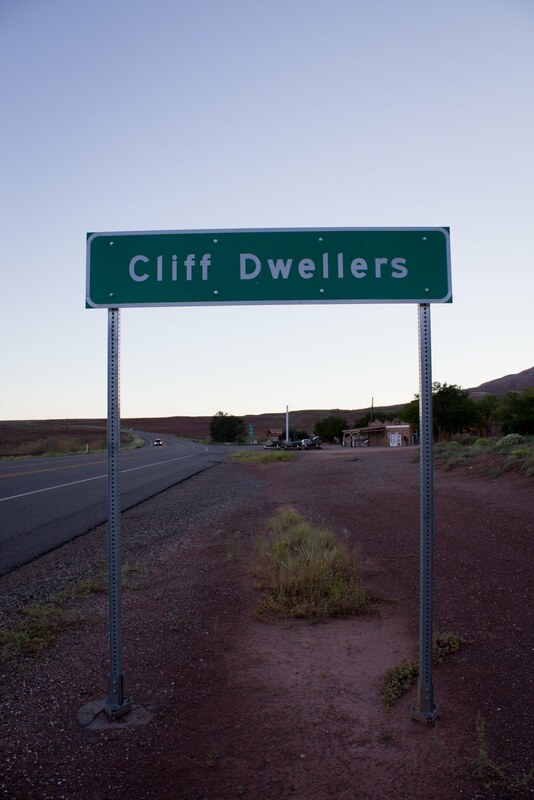 There's literally nothing around you in Cliff Dweller's. To see more photos from our trip in higher resolution, please visit my Flickr page which you can access on the right side of our blog. We live in Michigan.Have stayed at the Cliff dwellers Lodeg every time we come out here.Real rustic and quite.No city life here.It is just great.Not a place for those who think life is a cell or ipod or ipad.Thank god for that.